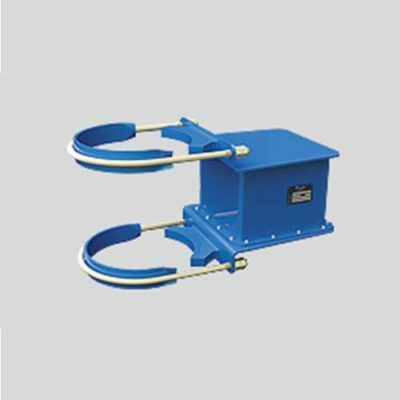 Spring devices are prototype products to isolate a vibratory system from a source of vibration. They are to be positioned between the system and the source of the vibrations in order to minimize the energy transfer from the source to the system. 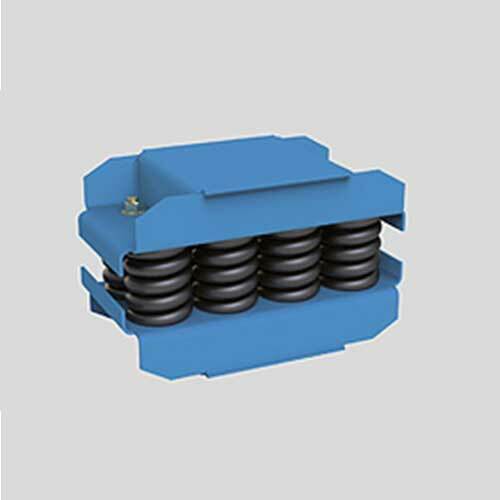 The basic design of a spring device consists of a set of helical coil steel compression springs connected to a top and bottom plate. 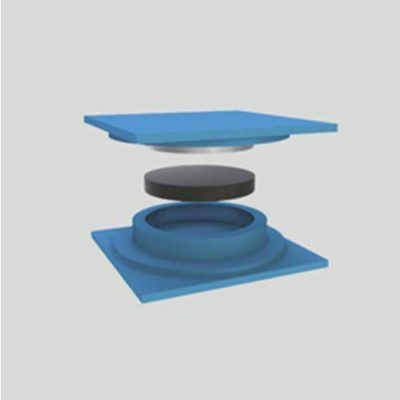 These plates are fixed to the vibratory system and the source through different anchor systems or by screwless fastening. For screwless fastening the spring devices may be fitted using adhesive pads that in addition allow for the decoupling of the system from structure-borne noise. The springs are the core elements of a VICODA spring device. Being an affiliate of LISEGA, the world market leader for pipe supports, VICODA benefits from LISEGA’s more than 50 years of experience in the design and manufacturing of spring based constant and spring hangers. The full portfolio of standardized, high quality LISEGA springs is available for VICODA’s design engineers. However, to comply with all the typical requirements of base isolation additional standardized springs were added. Over time – especially under higher loads and at higher temperatures – the stiffness of conventional helical coil springs may decrease (spring relaxation). In order to avoid any negative effects due to that effect VICODA uses pre-relaxed springs guaranteeing the constant functionality of springs over their lifetime. In order to ensure high quality corrosion protection VICODA springs are given a special surface treatment based on a cathodic immersion process that was adopted from automotive industry: first the peeled surface of springs is steel ball blasted and then zinc-phosphated, subsequently a 2-component epoxy resin coating is applied by electro-immersion and burnt in at ~200°C. The design of these spring devices consists of a set of springs connected to a top and bottom plate. By combining VICODA standard springs these devices allow for an optimum adjustment of the natural frequency of the vibratory system and by that effective base isolation for a given excitation frequency of the vibration source. Different from the spring devices of type SL, the springs of the devices of type SM are embedded in a highly viscous fluid. This adds the safety damping characteristic to these devices. 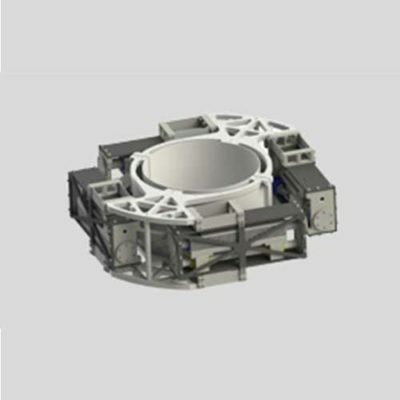 These spring devices provide a viscoelastic damping element comparable to the standard VICODA viscoelastic dampers. These damping element allow for a significantly higher damping than the safety damping elements. The above spring devices are available with or without the feature of preloading. All spring devices are delivered with high quality corrosion protection in line with international standards. For extreme operational conditions VICODA can provide adequate special surface protection using its surface treatment center. Even though the definition of the general solution is rather simple the large number of possible combinations of different numbers of standardized springs and damping elements makes it hard for a non-expert to define the optimum solution for his specific problem. That is why VICODA engineers are available to help you configure the optimum solution using the VICODA modular system.